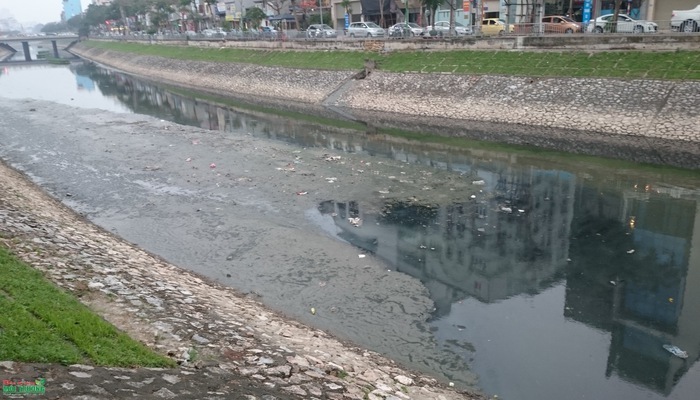 Tadashi Yamamura, UN environmental expert and President of the Japan Environment and Trade Promotion Organisation, said they would start a pilot programme to clean a part of Hanoi's To Lich River. The news was announced during a meeting between the delegation of Japanese environmental experts and Prime Minister Nguyen Xuan Phuc on April 11. The PM said the environment was one of the most concerned issues during the national development process. Vietnam and Japan are strategic partners and have strong and reliable development relationship in many fields. The environment was also a potential area of co-operation. Phuc hailed Japanese water pollution treatment ideas and how they had called for investment from the private sector. He hopes that their trip would help strengthen the friendship and co-operation between the two countries. Phuc asked Japanese experts and the Japan-Vietnam Environmental Improvement JSC to work with the Ministry of Natural Resources and Environment and Hanoi authorities to research and implement the project. This project may be a model to treat pollution in other rivers and lakes. Ministry of Natural Resources and Environment will report to the government after the project is completed for further decisions. Yamamura said they would place a bio-nanotechnology device and a super-rapid processing pace on the bottom of To Lich River. They had surveyed the river for two years before making the proposal. He believes that technology will be a great help for Vietnam in dealing with wastewater. To Lich River is 14km long, running through many districts in Hanoi such as Ba Dinh, Cau Giay, Dong Da, Thanh Xuan, Hoang Mai and Thanh Tri. However, the river has been severely polluted because both industrial and household wastewater are discharged directly into the river.